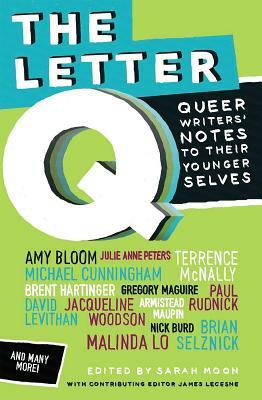 In this anthology, sixty-three award-winning authors such as Michael Cunningham, Amy Bloom, Jacqueline Woodson, Gregory Maguire, David Levithan, and Armistead Maupin make imaginative journeys into their pasts, telling their younger selves what they would have liked to know then about their lives as Lesbian, Gay, Bisexual, or Transgender people. Through stories, in pictures, with bracing honesty, these are words of love and understanding, reasons to hold on for the better future ahead. They will tell you things about your favorite authors that you never knew before. And they will tell you about yourself. Sarah Moon is a teacher, writer, and translator. She lives and works in Brooklyn, New York. James Lecesne is an actor, writer, and activist. His Academy Award-winning short film, "Trevor," inspired the founding of The Trevor Project (www.thetrevorproject.org).